Assists businesses in researching, obtaining, and maintaining licenses and permits. 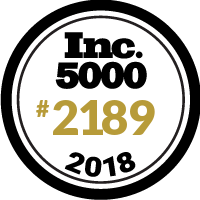 LicenseLogix is honored to be named, for the 3rd year in a row, to the Inc. 5000 List! What a privilege to be among such entrepreneurial talent. A huge thank you to our clients, strategic partners, & LLX team members for making this recognition possible.